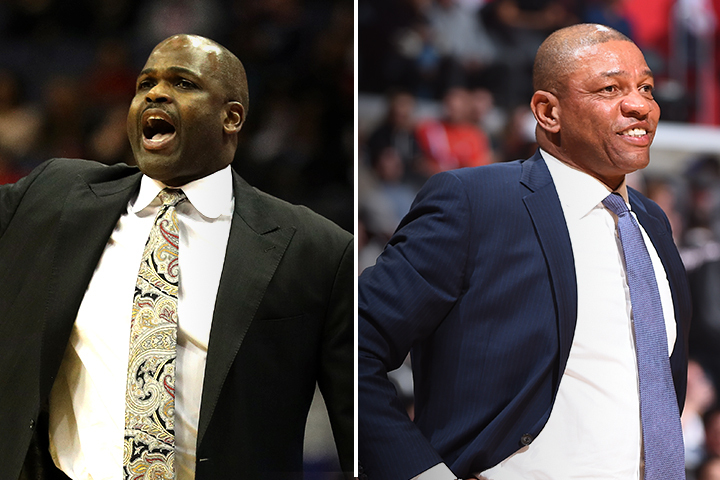 NEW YORK — The Indiana Pacers’ Nate McMillan and the LA Clippers’ Doc Rivers today were named the NBA Eastern and Western Conference Coaches of the Month, respectively, for games played in April. McMillan guided the Pacers to a 5-1 record during April, tied for the best mark in the Eastern Conference. Indiana closed the month and the regular season with five consecutive victories to secure the seventh playoff seed in the East. For the month, the Pacers ranked third in the NBA in scoring (115.5 ppg) and fourth in field goal percentage (50.1) and point differential (plus-11.7). Indiana’s only defeat was a 135-130 double-overtime loss to its first-round postseason opponent, the Cleveland Cavaliers. Game 1 of the series is Saturday, April 15 at 3 p.m. ET on ABC. Behind Rivers, the Clippers went 5-0 in April to finish as the NBA’s only undefeated team for the month and extend their regular-season-ending winning streak to seven games. LA outscored its opponents by a league-best 16.4 points per game and led the NBA in field goal percentage (51.5). On the final day of the regular season, the Clippers defeated the Sacramento Kings 115-95 to clinch the fourth playoff seed in the Western Conference. The Clippers will host the Utah Jazz in Game 1 of their first-round series on April 15 at 10:30 p.m. ET on ESPN. Other nominees for the NBA Eastern and Western Conference Coaches of the Month were Boston’s Brad Stevens, Chicago’s Fred Hoiberg, Denver’s Michael Malone, Golden State’s Steve Kerr, the Los Angeles Lakers’ Luke Walton, Miami’s Erik Spoelstra, Portland’s Terry Stotts, Toronto’s Dwane Casey and Utah’s Quin Snyder.